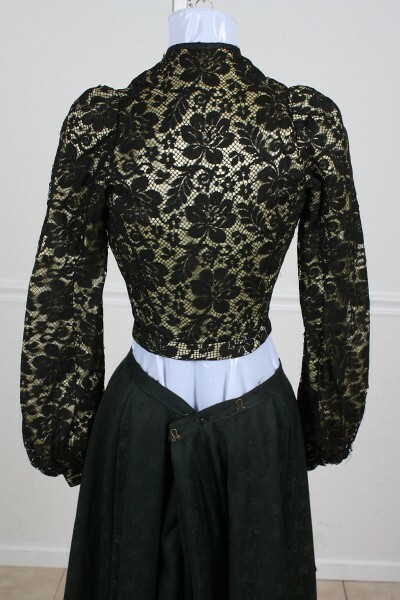 Up for auction is this gorgeous 1890's Floral Silk Lace Bodice. 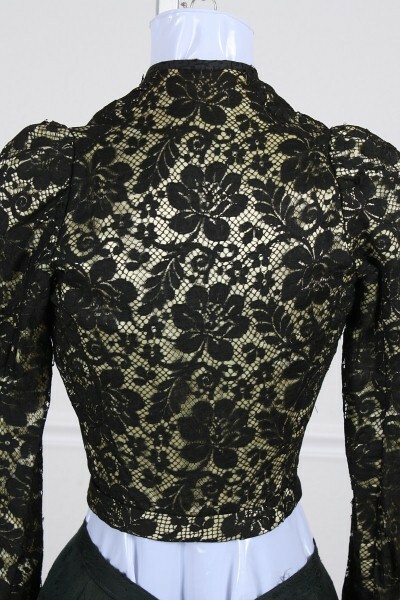 The Lace is black followed by a pale green layer of silk followed by light brown lining. 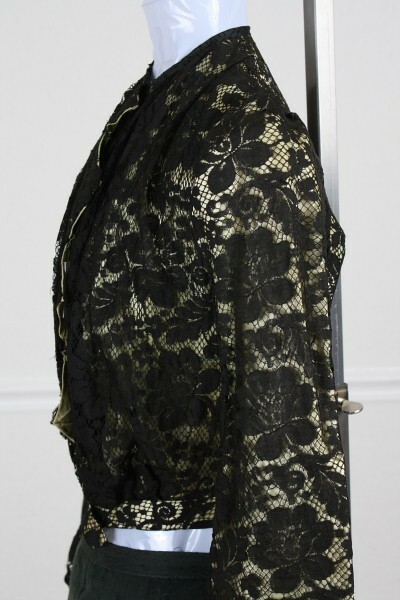 The collar has black silk piping, the front is designed with a zig zag pattern, the shoulders are puffed, and the cuffs are banded. 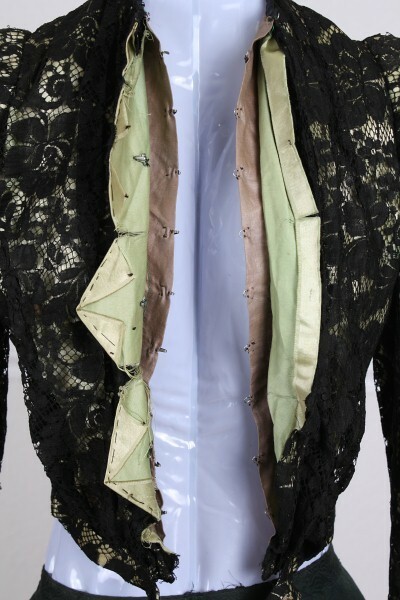 The bodice closes with hooks and eyes, there is also a snap at the bottom hem, and the inside has boning. 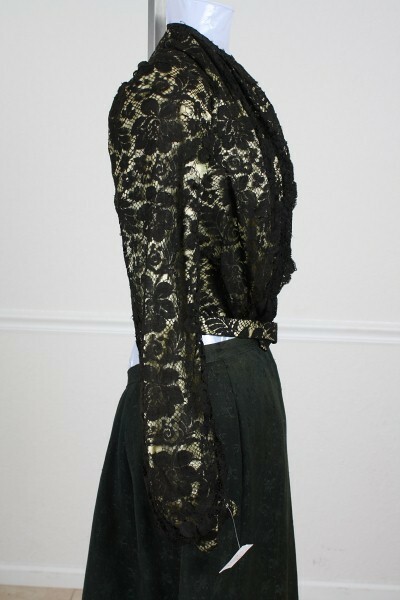 Length from neckline to bottom = 18"
Shoulder to Shoulder = 11"
The condition of this piece is delicate but still wearable. It does have some issues which would be expected from a lovely of this age. 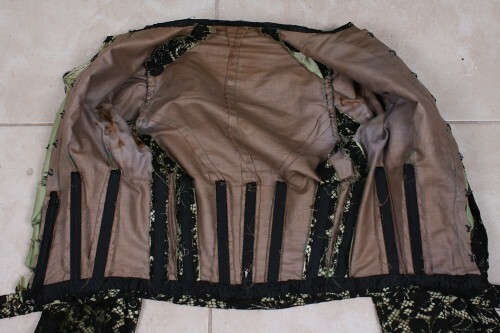 There are some breaks in the lace which is only significant in the right arm (see pic), a snap and hook missing, the the lining has some shredding primarily at the openings along with some age spotting, and the threading has come loose where the bottom band connects to the bodice in back(easy fix with a thread and needle). 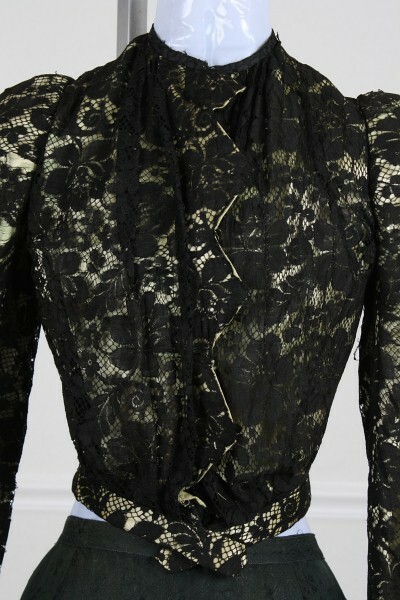 This might be 1900's but I can also see the 1890's in it. I just like the closure.